The thyroid gland, a small yet powerful butterfly-shaped gland located in the neck, is responsible for producing a range of hormones that help maintain many of the body’s processes such as metabolic processes, heart rate, weight, body temperature and blood pressure. This small gland plays an extremely crucial role in the endocrine system, and works with the nervous and immune system to ultimately regulate metabolism. When a gland involved in so many important bodily processes starts to deplete in function, it can really take a toll on your health in a number of unpleasant ways. An underactive or overactive thyroid gland (termed hypothyroidism and hyperthyroidism respectively) produce opposite symptoms. Symptoms of hypothyroidism include weight gain, fatigue, feeling cold, hair loss, dry skin and constipation. Symptoms of hyperthyroidism often mirror those of hypothyroidism and include weight loss (despite an increased appetite), sweating and sensitivity to heat, fatigue, rapid pulse and nervousness. Whilst some factors, such as genetics and autoimmune diseases, cannot be controlled, our diet can be. The way we eat can impact on our thyroid health, and eating the following seven foods may support your thyroid health and can certainly assist in improving your overall health and wellbeing. Seaweed is a food jam-packed with iodine. It is the richest naturally occurring source of iodine available. Iodine is a trace mineral found in abundance in seawater, and therefore in plants and animals originating from the ocean. As a mineral, iodine is required by various thyroid hormones, particularly those involved in growth and energy expenditure, and acts as a component of many of these hormones. Without sufficient iodine, many of those hormones cannot function properly and therefore can affect cognitive and physical development, especially during childhood. Kelp, kombu and wakame in particular have the highest amounts of iodine. Be careful, however: too much iodine can be just as harmful as not enough, so be sure not to overdo it! The recommended daily intake for iodine for adults in Australia stands at 150 micrograms per day. Dairy products are a great source of iodine both alone and enriched further due to the use of iodine-supplemented feed in livestock and the use of iodine-based cleaners to sterilise milk during the milking process. Regular milk, Greek yoghurt and cheese are great, nutritious sources of iodine and numerous other nutrients in the diet. Brazil nuts are full of another nutrient that helps regulate thyroid hormones: selenium. Selenium is a trace mineral that works as an antioxidant in the body. Selenium is also crucial in keeping your thyroid happy and healthy. Brazil nuts are the best food source of selenium, with just one brazil nut containing 90 micrograms of selenium. Snacking on one or two brazil nuts per day is enough to meet your daily selenium needs. Seafood are good sources of iodine due to their ability to absorb some of the iodine naturally found in seawater. Fish, shrimp and oysters in particular are especially rich in iodine. Shrimp are also high in selenium and zinc, proving themselves to be even more advantageous in maintaining optimal thyroid health. Eggs are a thyroid superfood. Just one large egg can contain almost 1/5th of the iodine and selenium you need in a day! Iodine in eggs is often enriched even further by using iodine-supplemented feed in chickens. It’s important to eat the whole egg, as the majority of the iodine and selenium found in the egg are contained in the yolk. Iodine deficiency has recently re-emerged as a health concern in Australia due to the lower use of iodine-based cleaning products in the dairy industry and a decline in the consumption of iodized salt in the population. Iodised salt intake, despite its high iodine levels, has reduced in Australia due to rising concerns between a high salt intake and an increased risk of hypertension. Since 2009, Australian bakers have been required to use iodised salt instead of regular salt in the baking of bread in the hopes of decreasing the risk of iodine deficiencies in the Australian population. Incorporating some of these iodine and selenium rich foods into your diet can protect your thyroid and allow it to function and its best, allowing you to feel at your best too! However, if you suspect you are suffering from a thyroid-related issue, it is important to seek medical advice and consult a health professional. Why are we so afraid to eat fats? 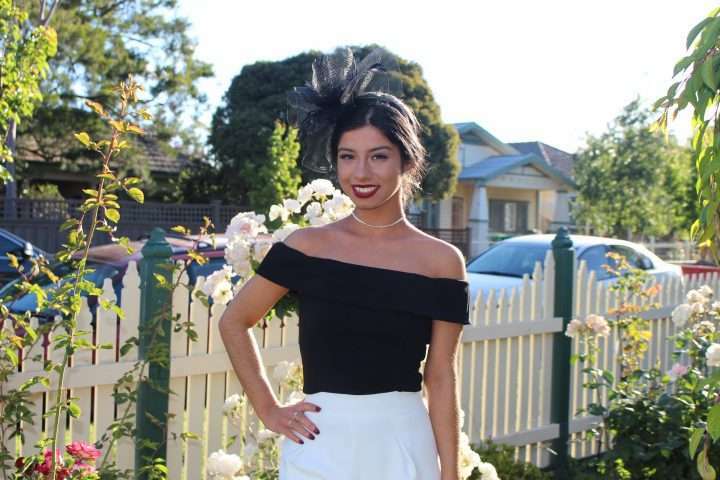 Victoria Lekkas is a Bachelor of Applied Science/Masters of Dietetic Practice student at La Trobe University completing the second year of her four-year long journey to becoming an accredited practicing dietitian. Growing up in a Greek family, Victoria is passionate about the Mediterranean diet and issues surrounding gut health, intolerances and helping people achieve their optimal level of health. She is currently exploring all aspects of nutrition and dietetics and discovering where her skills and passions lie, and hopes to one day open her own private practice.